The John Dickinson Mansion, on Kitts Hummock Road in East Dover Hundred. The house was built in 1740 by Samuel Dickinson. Samuel’s son, John Dickinson, grew up in this house before moving to Philadelphia to study law. 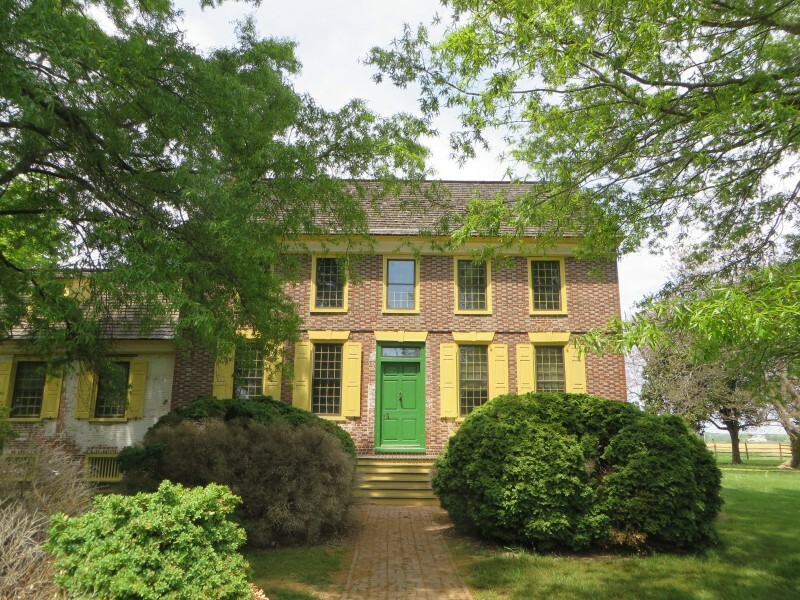 Known as the “Penman of the Revolution,” Dickinson wrote about this house in “Letters from a Farmer in Pennsylvania” in 1767 (Delaware was a part of Pennsylvania at the time). John Dickinson later went on to write the Articles of Confederation in 1778. The house was gutted in 1804 by a fire, and Dickinson had the interior rebuilt for tenant farmers while he lived and worked in Wilmington. By 1950, the house was practically in ruins. The state and the Colonial Dames bought the house in 1952 and opened it as a museum in 1956.